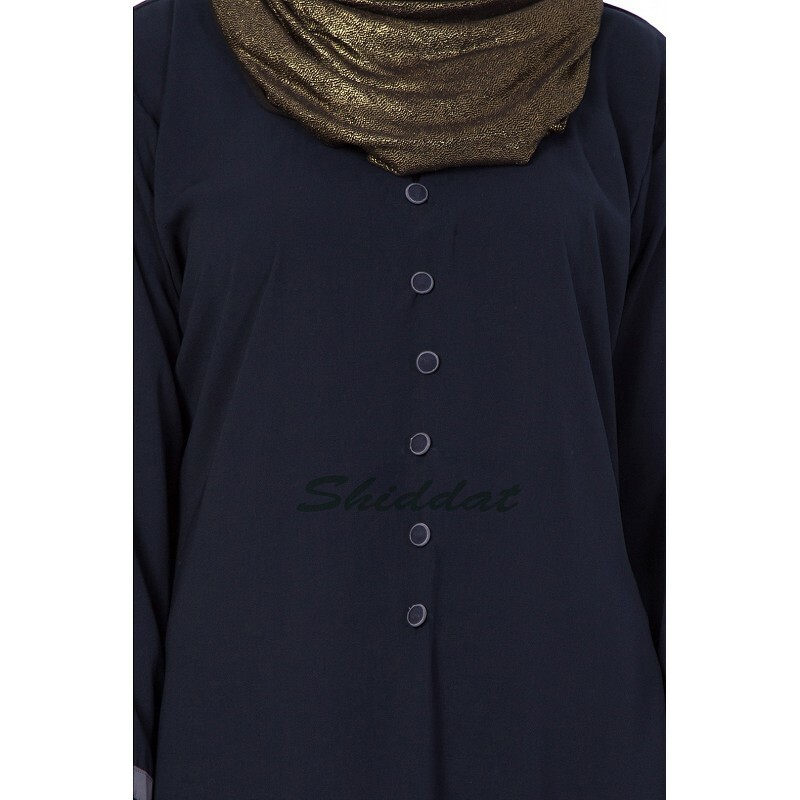 This Navy Blue Colored Designer Abaya has grey strip border and both side strip design in bottom. It has 3 line grey color strips on Sleeves, which given a classy look. It consists of simple sleeves for easy movement and comes with a complementary scarf which is taking the appearance to another level.Made from light-weight, high-quality Kashiboo fabric . Disclaimer- Colours displayed here may vary slightly from the actual colour due to digital photo shoot and changes in lighting.